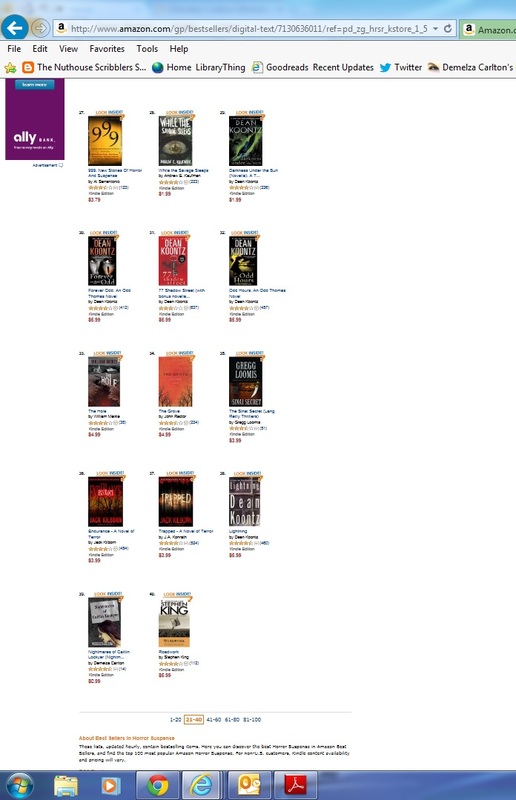 It’s not a likely listing – especially with me in the middle of those two highly successful horror suspense authors, but it happened. On Amazon’s Top 100 Bestseller List. In real life. I could be cryptic and incoherent (admittedly, I probably was on Sunday morning when I discovered it), but I took a couple of screenshots, just to make sure. 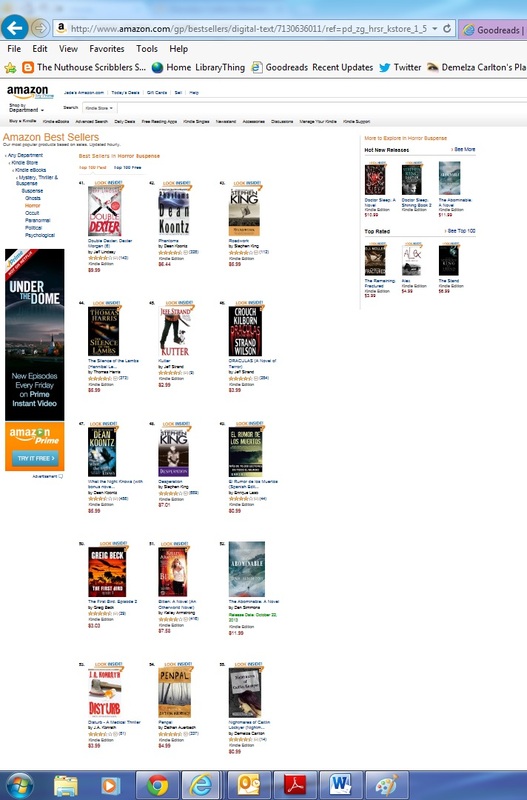 Nightmares of Caitlin Lockyer hit the Amazon Top 100 Bestseller Horror Suspense list, debuting at No. 55. I was thrilled. I mean, I took screenshots. Blurted it out on Facebook. Otherwise, who’d believe me? I barely did. I figured it couldn’t last. It did, at least for a little while. 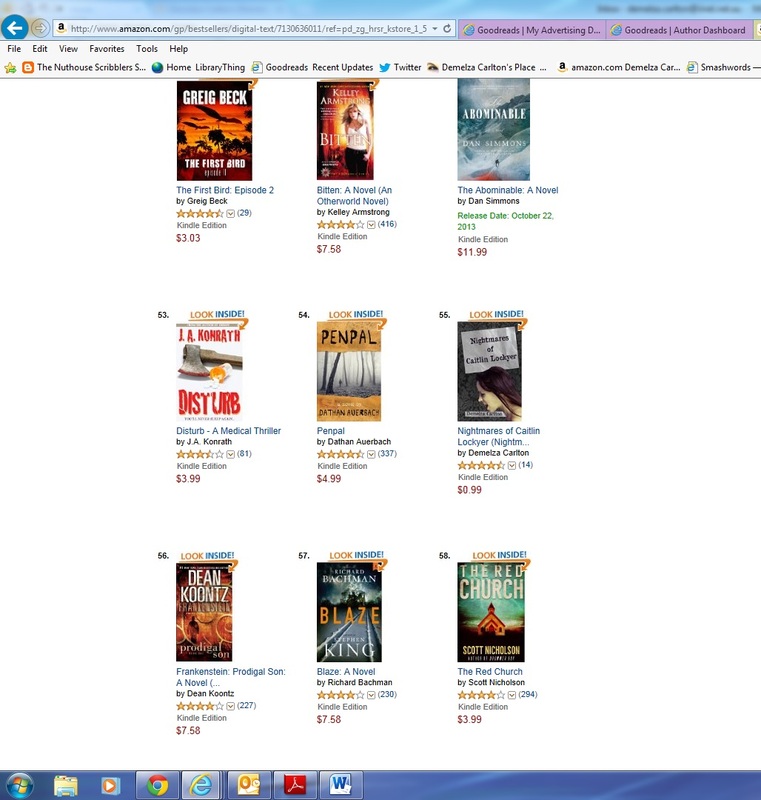 That ranking just crept higher and higher until Nightmares of Caitlin Lockyer, my little book, reached No. 39. Of course I took more screenshots. Now, getting a million reads on Wattpad on the draft of Nightmares of Caitlin Lockyer was pretty thrilling for an author from Perth, Western Australia. But this was just incredible. So, yes, I did feel I needed to share it with you. Hey, what are the chances? Yet it happened.